*Note: If your remote control has numbers or does not look like the images below, click here. TIP: Check out the free Roku Mobile App for tablets and smartphones. 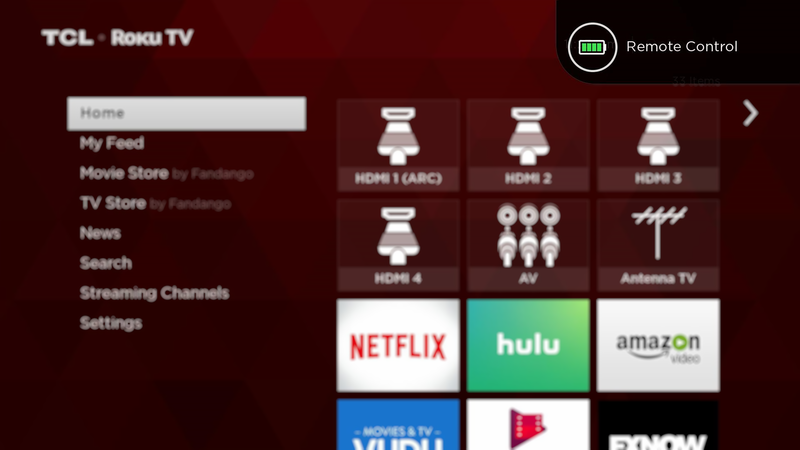 Makes it easy to manage and access many features of your TCL Roku TV. Verify that there is a clear path between your TV and remote. 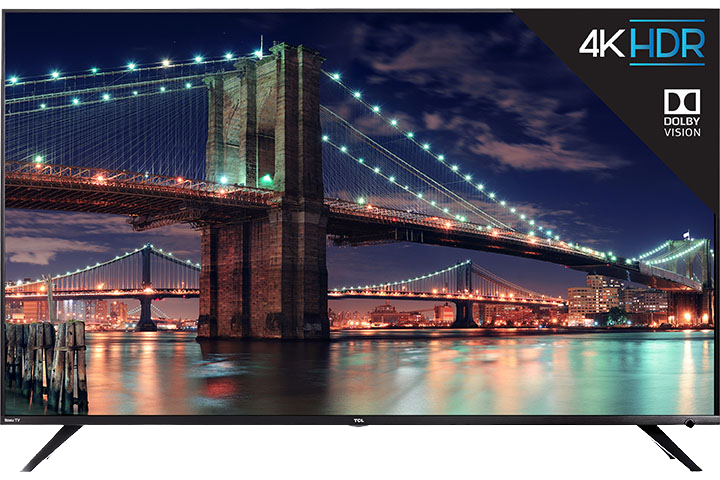 Make sure that there are no obstructions between your TCL remote and the remote sensor located in front of the TV. For example: If you have a sound bar, confirm that it is not blocking the TV sensor. Aim the remote directly at the TV. Make sure you are pointing the remote directly at the TV or at an optimal distance. Try reinstalling the batteries. 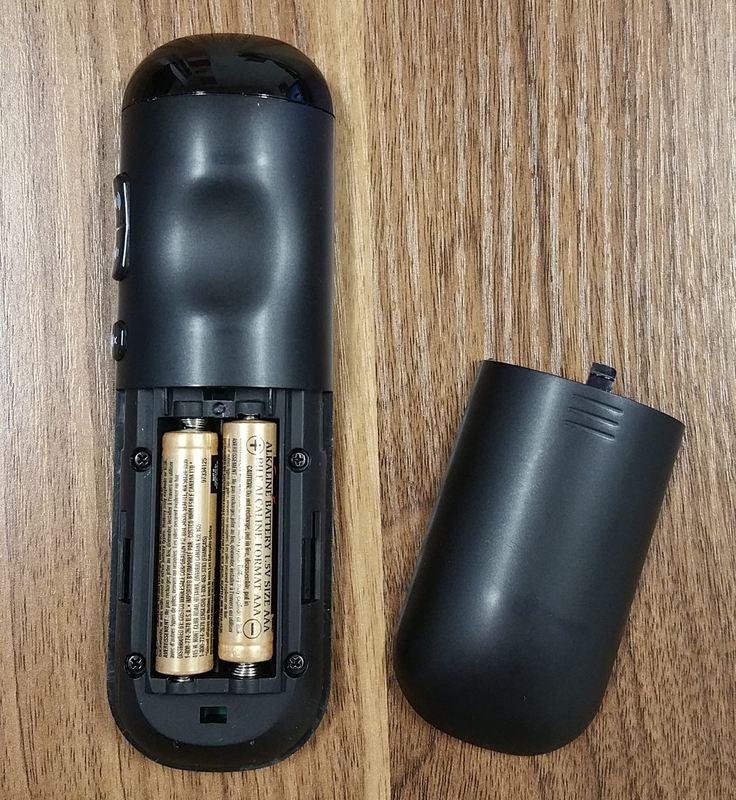 If the remote is still unresponsive or intermittently responding, it is possible the batteries were installed incorrectly. Try removing the batteries from the remote and re-inserting them. If there is no improvement after reseating the batteries, try replacing them. Infrared Emitter Test. For this procedure, you will need a smart phone, or a digital camera with a live display. Note: Some cameras will show the Infrared (IR) signal better than others. Also, it is recommended to conduct this test in a darkened room. 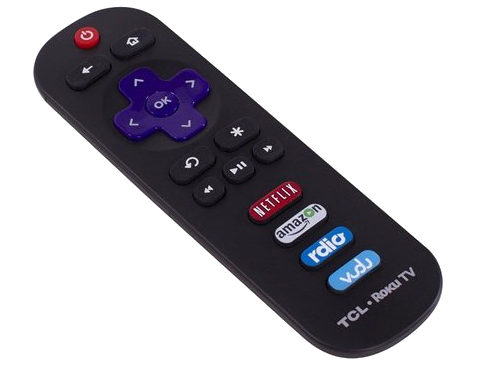 Point your smartphone or digital camera towards the tip of the TCL remote. Look into the camera as if you are taking a picture while pressing any button on the remote. You should see a flashing purple light as you press and hold the button. Refer to sample images below. As you can see, the IR emitter is more visible in a darker room and quite hard to see in a brightly lit room. Note: Both photos show the same remote being tested. 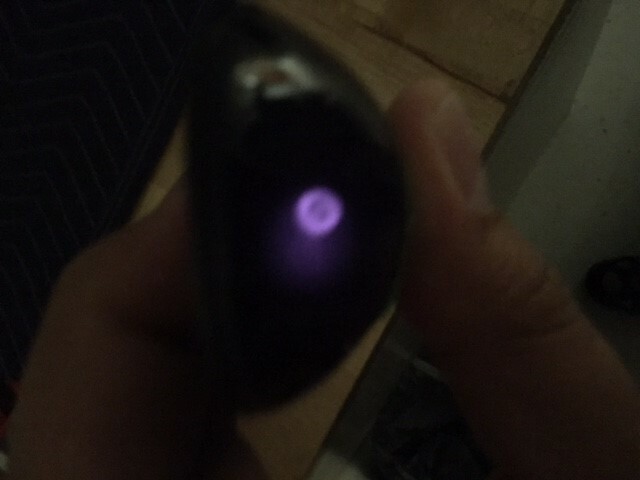 If no light is seen from the IR emitter, then it is likely that the remote is defective. 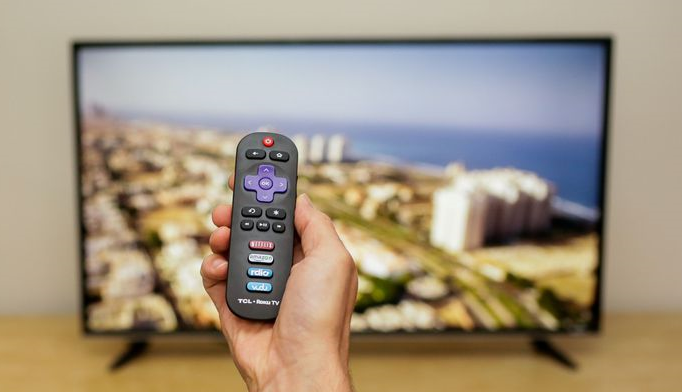 If the remote is emitting an IR signal, but the TV still does not turn on or respond, confirm that nothing is blocking the TV's IR receiver (located underneath the TCL logo). If there’s clear line of sight, and the TV still does not turn on, then the issue could lie with the IR receiver on the TV. 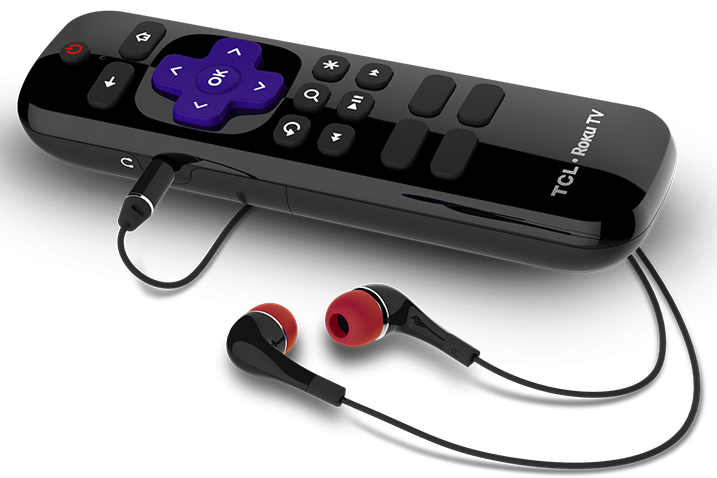 Install new fresh batteries of same type in your TCL ROKU TV remote control, observing the proper orientation as indicated in the battery compartment. When you see the home screen on your TV, reinsert the batteries. 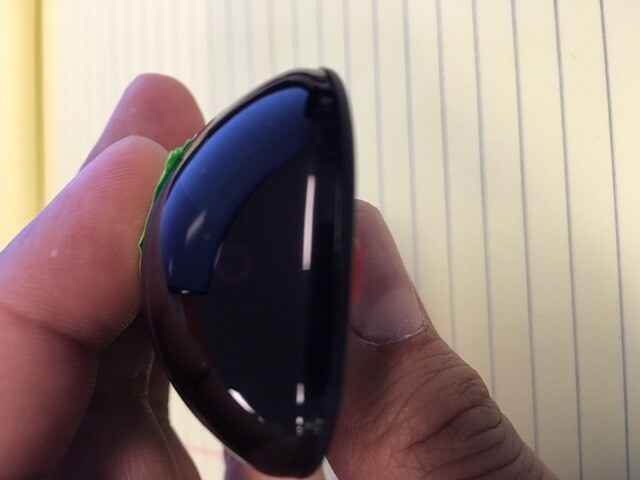 Open the battery compartment to locate the pairing button - as shown in above image. Press and hold the pairing button for three (3) seconds or until the pairing light starts flashing. If the light does not flash, try again. If the light still does not flash, then you will need to replace your batteries. After replacing the batteries, repeat step 1. Wait for 30 seconds while the remote establishes a connection with your TV. 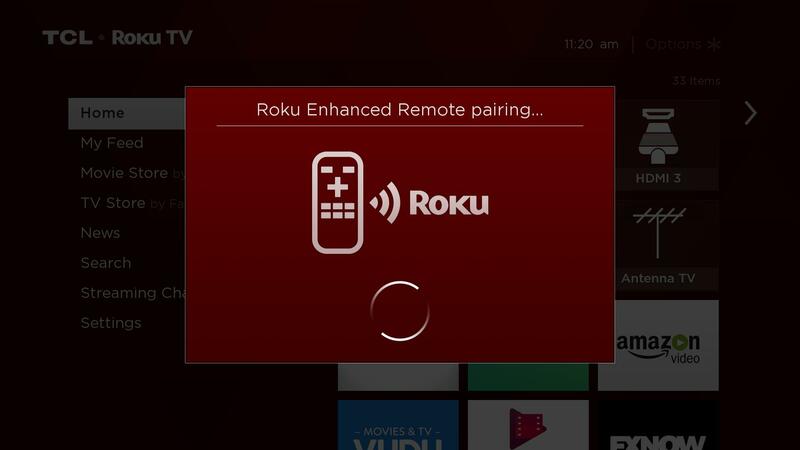 The remote pairing dialog should appear on your TV screen. Once TV and enhanced remote are successfully paired, the TV will show the battery status of the enhanced remote - as shown below.